Rock table designed by Jean-Marie Massaud for MDF Italia has a solid foundation. It combines an interesting mixture of natural and industrial material as it was thought by the designer to adapt to any kind of environment’ style. Rustic, contemporary, mid-century: all those looks can provide a new interpretation to the table. When Jean-Marie Massaud designs a product he always thinks about all the possibilities that it can have. Based on this philosophy, Rock Table could be seen in domestic, workplace and outdoor environments. It is the first thing one should do when he comes back home from a long day at work or from a long night out, or after an intense work meeting. Sit down on her, let her soft and reliable skin hold the heaviness of the body, the thoughts. Surrender to her calmness and rely on her confidence. This is what happens when one lays down to Armframe soft, the chair from Frame collection designed by Alberto Meda for Alias. Its comfortable cushions assembled straight onto the chair become a sort of secure ground where to land. Ten minutes are enough to start feeling a sense of peace running through the legs, the belly, the chest, the arms and the head. One simply has just to close the eyes and let go, leave everything behind. At the end of the day we don’t need much to reconnect to where we belong, to our home. We just need a place that can embrace and reflect who we are and what we need in any given day. Moreover, the highly sophisticated aesthetics of Armframe soft spread a sense of beauty that intuitively and with kindness affects the vibration of any kind of houses but also a lounge room of workplaces or hotels. The design is rigorous and refined. Open and versatile it gives to your relaxing moment the peace and the creativity necessary to re-energize your body after a long work day. Biblio, the contemporary bathtub of Antonio Lupi, brings elegance and inspiration to the bathroom. The name comes from the shape of the bathtub. Biblio in Italian has a double meaning: bibliografia (bibliography) and biblioteca (library). Inspired by this word the designer created a built-in library where you can put your favorite books and read them while you are immerse in a flow of warm water. Made of Corian it can accommodate all kind of style. From modern to rustic, from shabby chic to Art Deco to a more minimal Japanese look and decor. Biblio welcomes you as you are. It has an empathic quality that allows you, for few hours of your day, to be free from any kind of role and to reveal yourself in your natural beauty. They look at each other. They come closer and then they go away in search for the right distance to enjoy the view. They move around easily, they are masters of “hide and seek”, they can be by themselves, but they love to be all together. Flirtstone, the asymmetrical seating system, designed by Barbara Goltermann for SpHaus, Italian furniture company, brings a playful vibe in the living room. Sofa, armchair and footstools, pieces of the system, can be combined in different ways. Like young couples, they love to play with romance and sensuality just to be at the center of attention. One day Sofa needs the company of armchair and the day after he likes to show up by himself. Those are the rules of dating: the awareness of having many possibilities. Flirtstone is made of polyurethane foam reinforced by a steel frame. Oki Sato is probably one of the most talented International young designer. He is the chief designer and founder of Nendo and he started a new collaboration with MDFITALIA. His first project is SAG, a minimal, well refined and versatile stool. It can be used as a seating or as a table for indoor and outdoor environment. Functional and sophisticated it is suspended in the air and melted in three directions into a single shape. Delicate, well-defined and sober. It satisfies the view, the touch and the sense of design. Aiku is the new collection of chairs created by Jean-Marie Massaud for MDFItalia. A combination of solidity and gracefulness, typical of a Japanese poem, that are embodied in this new series of seats. Inspired by the ancient tradition of Eastern literature, Aiku is a piece of modern elegance that can be placed in any room of the house or in a workplace. A sophisticated and unusual dining table. Saen, design by Gabriele and Oscar Buratti for Alias, is an elegant piece of modern architecture. 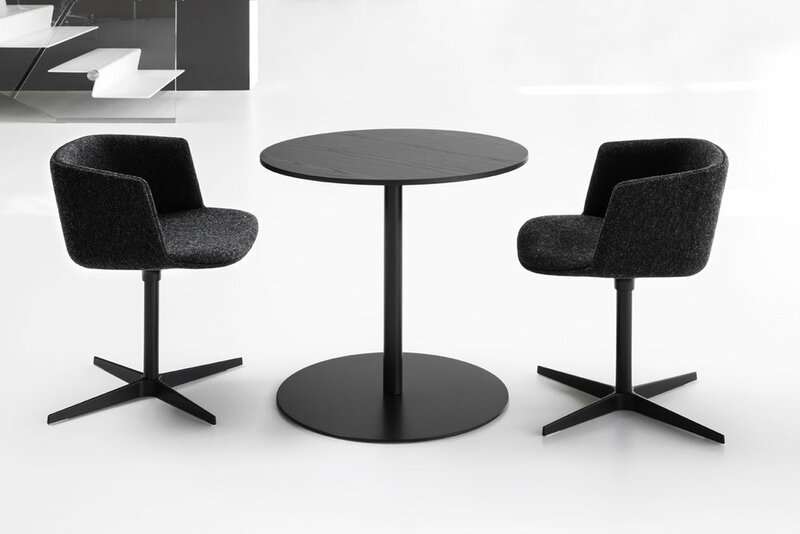 A new interpretation of the classic round table, Saen has a central leg which gives it a sort of innovation without compromising the traditional structure of it. Fluid, slender and original in its shape it can be placed in the living room or in an office highlighting the sharing experience of having a sophisticated house dinner or a creative work meeting. In ancient traditions, most for the desert nomad culture, rugs didn’t have just an aesthetic meaning. They used them to protect people from the ground. This is one of the reason why those people used to cover the floor with many rugs. Nowadays a rug is most of all a decorative piece of design that can add a sense of warmth, beauty and comfort to any room. Aware of the antique rug rules and the contemporary needs Nanimarquina launched a new collection: Tres. This new series of rugs combines past values and present needs. 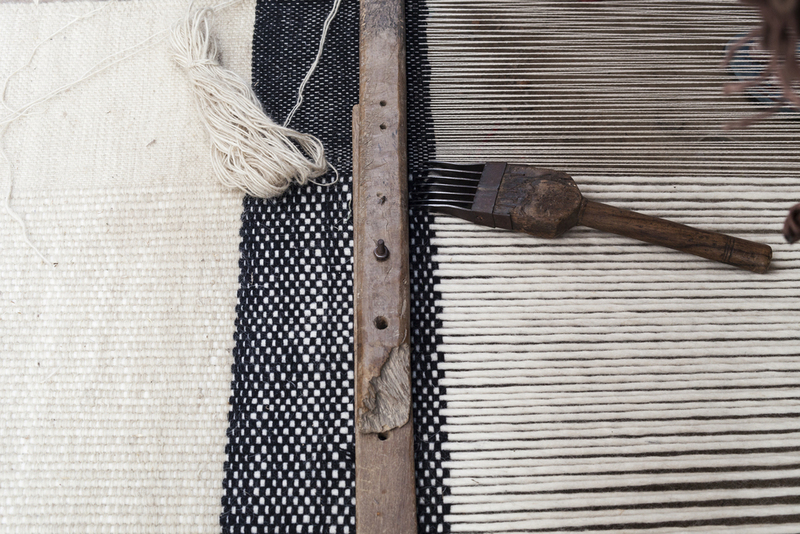 It reflects Nanimarquina's passion for craftsmanship and pays a tribute to the ancient craft of weaving. A perfect traditional Indian flat-weave dhurme rug available in five different colors, for any kind of environment. It allows you to read in peace your favorite book, to hide yourself and take a break after a stressful meeting. At the same time it gives you the privacy you need if you have to share something important with your friend or one of your co-workers. Eleven is the new comprehensive sofa system designed by PearsonLloyd for Alias. Its essential clean cut-lines makes it perfect for a office space or a domestic environment. The long and tall panels incorporated in the sofa and covered with fabric provide a sort of intimate land where you can just lay down and forget about the outside world or spend quality time with someone you like. Sometimes the need of owning something new can be replaced by a significant and thoughtful little change. Tense Material, the new collection of tables designed by Piergiorgio Cazzaniga for MDF Italia, shows this possibility. The original series renewed completely the concept of the classic dining table Tense, by focusing on three different materials: wood, brass and stone. Basic, noble and ancient materials that give a brand new look to a more traditional version. The brass recalls the preciousness and the luxury of the gold, the stone highlights the strength of the table and the wood enhances a tactile experience by bringing you in a profound and direct contact to the nature. Piergiorgio Cazzaniga signing the brass version of the Tense Material. A sophisticated wilderness lays on the floor bringing the fierce of the forest and the peace of its silence. Those are the qualities weaved in “In the Woods” a rug designed by Claudio Bonoldi for cc-tapis. Part of the #signature collection, this piece of art plays with abstract images and unfinished brushstrokes which draw a sense of endless space in the midst of bright colors and shadows. A picture that evokes a need of freedom and, at the same time, a request of warmth which is necessary in every home. You just want to lie down and stay. Reading a book, taking a nap or doing nothing. Just be and breath. Another chair has been added to the Frame collection designed by Alberto Meda, Italian renowned designer, for Alias. Frame soft is a chaise lounge with a highly sophisticated aesthetic. It is generously comfortable thanks to the cushions which are assembled onto the chairs and softly covered with fabric or leather. With his Frame collection Alberto Meda has established his reputation in the design world. Some of his pieces, like the long chair, are part of the permanent collection of The MoMA in New York. Frame Soft, introduced at the last edition of Salone del Mobile di Milano, will be soon available at DSEGNARE. Its name is a greek word that can be translated as “to know” or “to be aware of”. Probably inspired by this idea of a peaceful self-confidence and a mind hungry for knowledge Francesco Rota designed the fluid and sensual asymmetric dormeuse EYDO for Lema mobili. Its architectural style invites you to lay down and relax while you are paying attention to what is happening around you. This chaise lounge has a suspended structure in painted bronze and an unique seat and backrest volume thatwrap up your body, offering great comfort. It is one of the design capital of the world. A landmark for the design industry. Milano with its annual Salone del Mobile is becoming one of the city where to go. This year the furniture fair has gathered together 400,000 visitors and 70 percent of them were foreigners. From Rho Fiera, to Tortona zone, famous for its “Fuori Salone” scenario, and Lambrate area, full of designs products made by young and talented artists, the city had its unique way to reinvent itself and to launch future design trends. We have experienced the creative vibe of Milano during the latest edition of the Salone del Mobile week and we brought back to San Francisco new products designed by well established artists like Francesco Rota, with his Eydo chaise lounge, Patricia Urquiola and Federico Pepe with their new rug for cc-tapis, Christophe Pillet with its Lady Jane chair, PatrickNorguet and the new Grand Kobi chair, Piergiorgio Cazzaniga and his new Tense table, Nanimarquina with the Lattice collection rugs of Bouroullec brothers and a new partenship between Lapalma and Tabuchi Tomoya who designed for the company Fork, a brand new table. Starting from next Monday, May 16th, every week we are going to introduce you those new products that will be soon available at DSEGNARE.